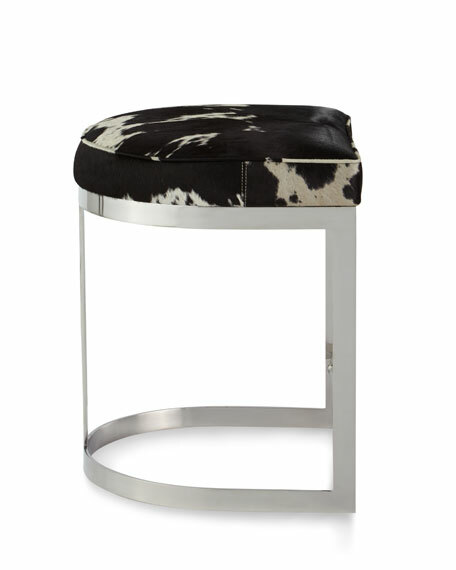 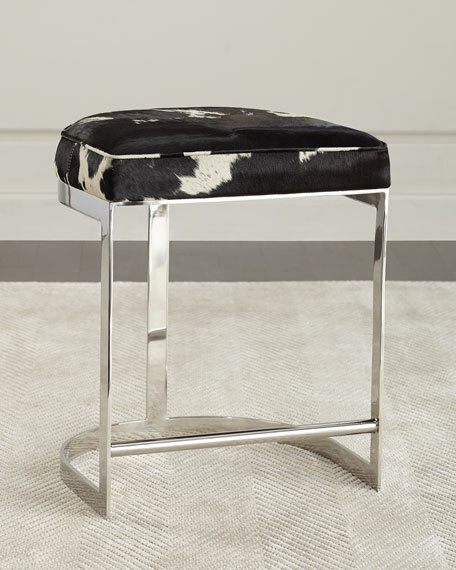 Black and white pattern-play on this hair-on-hide counter stool contrasts beautifully with the modern polished nickel legs. 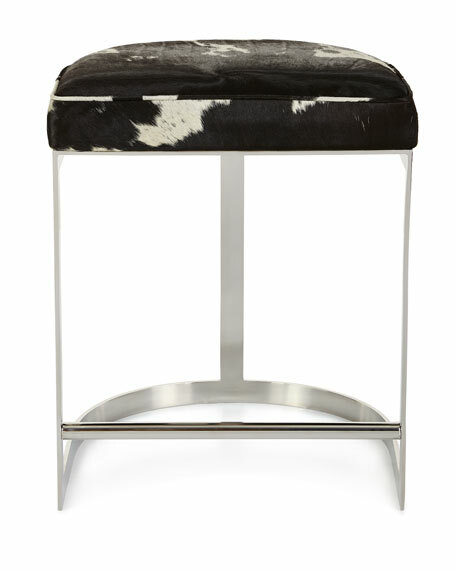 The sleek profile makes these perfect for tucking under a counter. 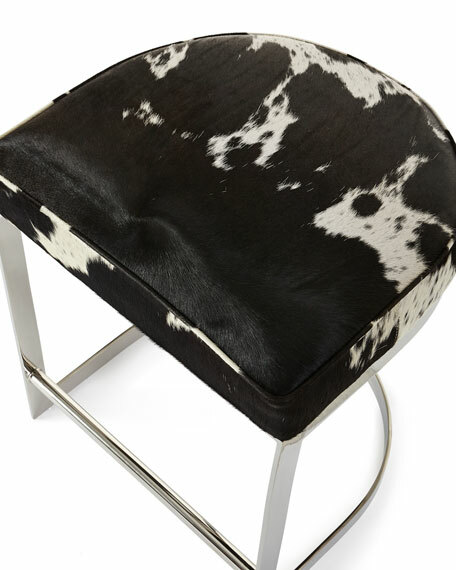 Counter stool with dyed hairhide (India) upholstery.